The 1st round of the 2012 Get Connected REIS Asphalt Rally Championship had attracted a bumper entry of over 100 cars and with no less than 10 WRC cars and 3 Darrians entered it was going to be a tough rally. Seeded at 28 the day arrived bright and sunny which was very unusual for this time of year on Epynt when its usually cold and wet. With a new engine, suspension and gearbox mods having been carried out over the winter by Adgespeed, Adrian and Mark were looking forward to the event hoping the changes would make a big difference and how right they was proved when with a good tyre choice they were 15th overall after the 1st loop of 2 stages. The next 2 stages were a repeat of the 1st loop and keeping up the pace they moved up to 13th O/A, despite a big moment on stage 4 when they slipped off the road on a tightening left hander, fortunately Adrian managed to drive along the ditch and after 50 yds managed to get the car back on the road and with no damage and big sigh of relief, they carried on to the end of the stage. Stage 5 were the previous stages joined together to create one long stage, starting to push a bit more resulted in a couple of spins, dropping them back to 15th O/A. The last 2 stages which were run the other way and a big push with no mistakes saw them move up to 14th after stage 6 and back to 13th at the end of stage7. The result also gave them 2nd in class. 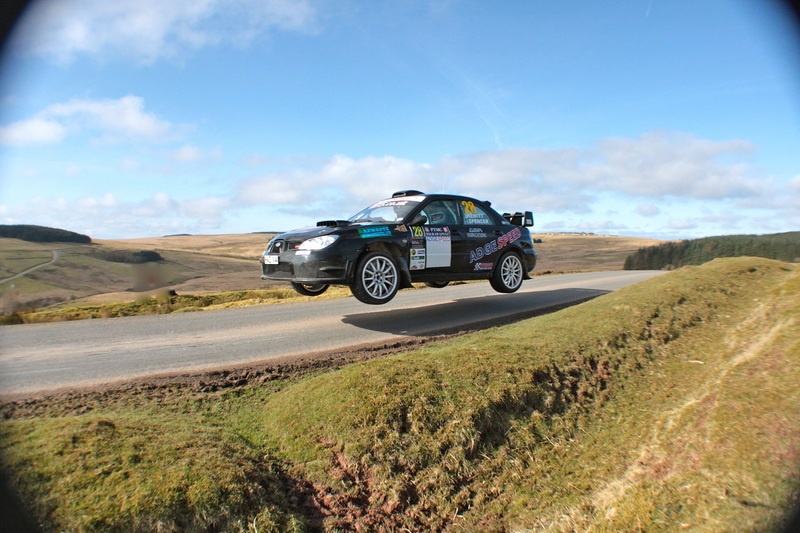 Adrian and Mark were highly delighted with the result especially with the strength of the entry and pleased that all the hard work and improvements carried out at Adgespeed had made a big difference to the cars performance. The team are now looking forward to the Jim Clark Rally which is the 3rd round in June, as they have opted to miss the next round the Manx Rally.